Are you applying to the Africa Initiative for Governance (AIG) Scholarship for 2019/20 session? If so, then this piece written by an OD user and 2018 recipient of the AIG Scholarship would be very helpful to you. 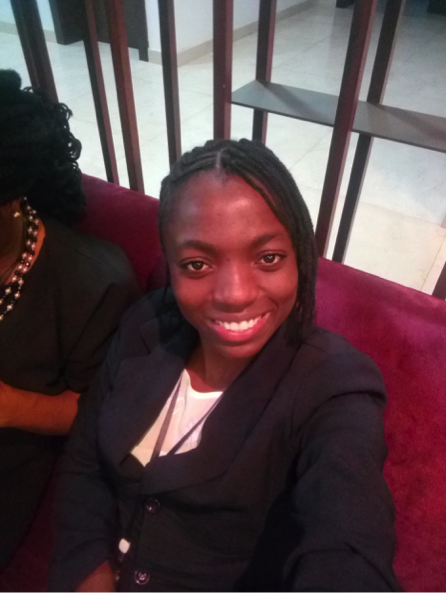 As she begins her studies at Oxford, Blessing has taken out time to share tips that can help you as you apply for the scholarship. Congratulations to Blessing Ajimoti on her selection and as she begins her studies at the Blavatnik School of Government. To achieve the goal of being a catalyst for public sector transformation, Africa Initiative for Governance will every year, for five years starting in 2017, fund five scholarships for outstanding West Africans from all backgrounds who are passionate about the public sector, to pursue the Master of Public Policy at the Blavatnik School of Government, University of Oxford. Upon graduation, AIG Scholars will be expected to return to their home country and apply their learning experience as change agents in their country’s public sector. The Scholars will be exceptionally intelligent graduates who have excelled academically as well as in other areas of their lives. In September 2018, I will formally resume a new phase of my life as a Master of Public Policy student at the University of Oxford. 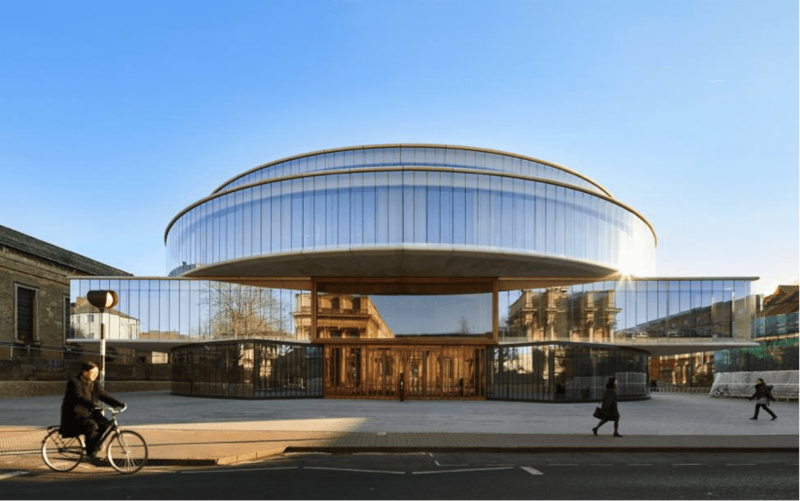 My education at the Blavatnik School of Government at Oxford is being made possible by a 2018 Africa Initiative for Governance Scholarship (AIG) award. I am one of five young Africans (four Nigerians and a Ghanaian) awarded the AIG Scholarships in 2018. When I was applying for an AIG Scholarship last September, I did a lot of Googling but could not find enough information about what to expect and what the process would look like from the perspective of the applicant. It is why I am sharing these tips and my experience with those looking to apply this year. I have included some tips about the Oxford MPP application here because you need to get into the MPP programme to qualify for an AIG Scholarship anyway. 1. Nationality: You must be a Nigerian or Ghanaian aged 25 – 35 and passionate about your country’s public sector. You must also think that studying public policy at Oxford is the right fit for you and for the goals you want to achieve. Trust me; you will have to demonstrate this in your Oxford application and from the beginning to the end stages of your AIG application. 2. Referees: Referees and references are a very important part of this process. Personally, I had six referees, AIG required four recommendation letters and Oxford required three. I would strongly recommend having at least two to three academic referees, AIG and Oxford would usually require two, but you should have one ‘insurance” academic referee. When deciding who your academic referee should be, you should think about the projects/activities (academic or non-academic and classes) that you performed the best at. What lecturers or professors at your school supervised or were aware of your activities, academic performance, group projects, volunteer work, awards etc? Those should be the people you should approach to write a reference on your behalf. The same goes for your professional referees, think about approaching those that supervised you and/or were aware of some of your best initiatives and ”superstar” moments at work (paid or volunteer work). 3. Requirements: You might need to provide some or all the following, depending on what you have now and what is waived for you: GRE or GMAT results (optional), international passport, academic transcripts (for the AIG team and another to Oxford), application fee, IELTS. These require some financial ‘‘investment’’, but the good news is you do not need to pay for or provide everything at once. 4. Exams: One of the earliest stages of the AIG Scholarship process is an exam. Let’s just say that you will need your current affairs, history, numbers, and logical, inductive, deductive and analytical reasoning skills at attention. You should also be fast with working with computers as the AIG exam is computer-based. If you qualify, you might have to travel to take the test in one of the several centres in Nigeria or Ghana on a Saturday. Usually, you will be given at least a week’s notice before the exam. 5. CV/Resume: This was my favourite and easiest part of the application because it is my forte and I teach people how to write stellar resumes. This CV is not about your workplace responsibilities, fully display your achievements and three to five (max) bullet points are enough per job role. Include your awards, fellowships and only the volunteer work that support your application (you have only one or two pages!!!). AIG required a one-pager from us, but the Oxford MPP required no more than two pages. Here is a good article here on how to make your achievements shine. I would recommend moving around with a notepad and just keep jotting down your answers and thoughts before harmonising them into essays. 7. Interview: A very small fraction of applicants will be invited to the interview. My advice is you should know your stuff and be prepared. You will face an interview panel session with some very experienced and accomplished people in the academia, public sector and the private sector. They are going to ask you questions that will make you think on your feet. One of those who interviewed me really shook me at first when she poked a very big hole in one of my answers, but my poker face was on, I bounced back, and I am going to Oxford now. 8. Pay attention to detail: This is not just because sloppiness in grammar and spellings are annoying to the reviewers. I am not saying that this is the standard practice but imagine that Candidate A’s application score is the same as candidate B’s and they want to choose only one candidate but are finding it hard because A and B submitted very good applications and their contributions would be good for the class. If this decision were up to me, the person with the spelling errors will not be awarded a place on the programme. Use Grammarly and other online spell check sites. You should consider leaving your essay for a whole day, come back to read it with fresh eyes and edit it accordingly. Pay attention to every detail!!! 9. Finally, DO NOT PLAGIARISE!!! You will be caught!!! 10. Do not miss deadlines, obviously! Brace up because this process is five months long and you need to be fully dedicated and tenacious from September to January especially if you make it through all the stages. Find the AIG Scholarship application here and good luck hearing from Oxford in March!!! Learn more about the scholarshiphere. 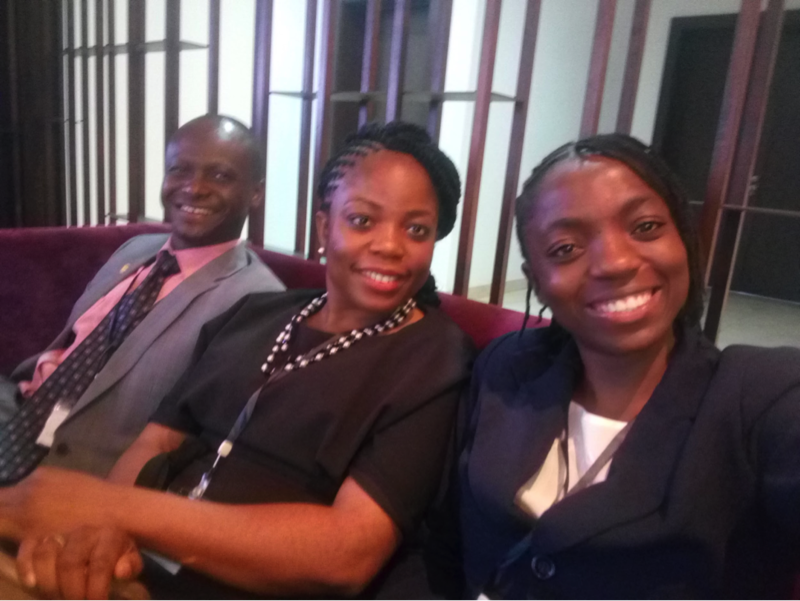 Blessing Ajimoti is a 2018 Africa Initiative for Governance Scholar at the Blavatnik School of Government, University of Oxford. She is passionate about using public policy for human capital development in Nigeria and Africa.